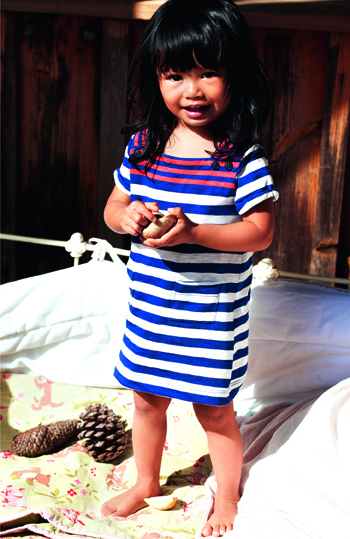 If you love stripes and basic tees like I do, then you'll be smitten with Petit Bateau. 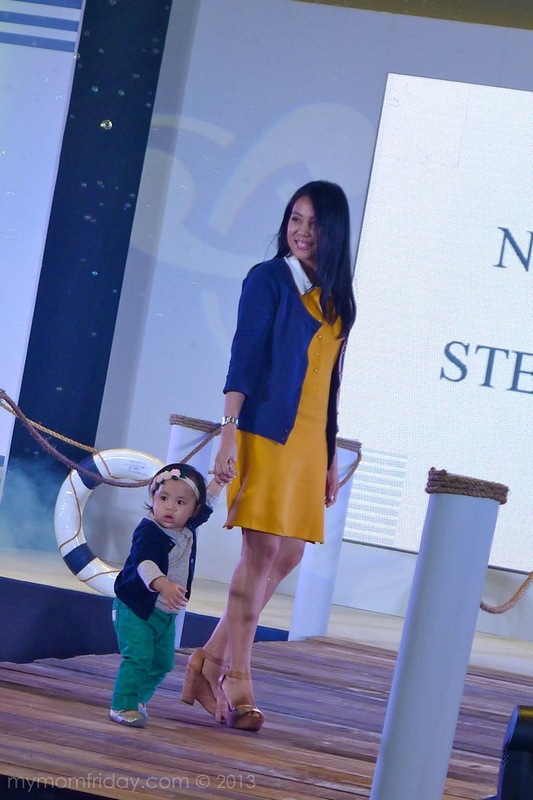 The 120-year old clothing brand from Troyes, France has now expanded in the country and I was fortunate to view their latest collections at a nautical inspired fashion show which kicked off the brand's launch at SM Aura Premier last weekend. 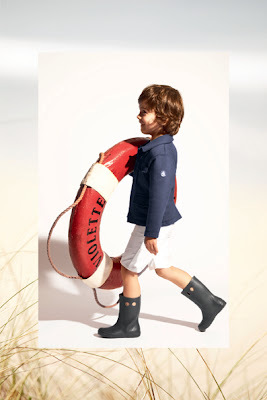 Petit Bateau is a French heritage brand that's known for their fine craftsmanship, innovation and timeless designs. I've heard of this children's clothing line before, but never really knew much about it. Besides, it's not even available in the Philippines until April this year when they opened the first branch in Shangri-la Plaza, and then their flagship store last August 3 at SM Aura Premier. 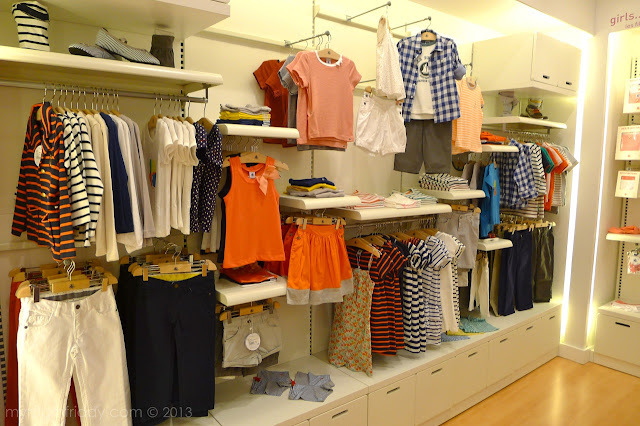 Seeing (and feeling) their clothes up close, I now understand why Petit Bateau is a well-loved brand for generations, especially by children and discriminating moms around the world. 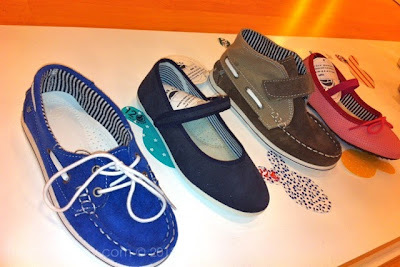 I also spotted this boat shoes and other soft footwear that goes well with the kids' apparel. 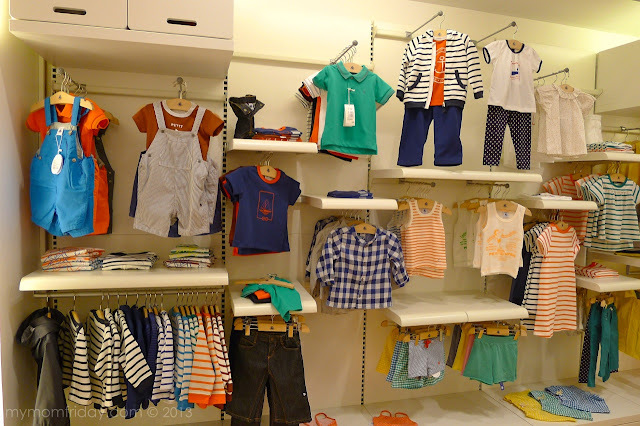 Petit Bateau is known for their mariniere (sailor striped T-shirts), their signature designs since the '70s, so expect to see lots of it in their stores. The brand is very high-end, and considering their price points, this is what I'd call investment dressing. It's French fashion as it's finest - très chic! 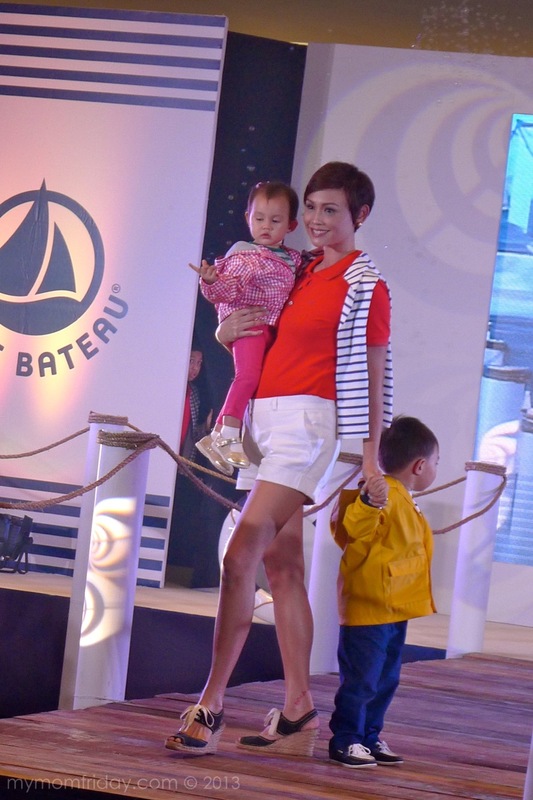 Take a look at some of Manila's fashionable families having fun as they model the latest from Petit Bateau during the event. 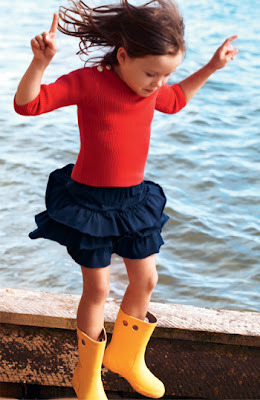 Cute tots in comfy Petit Bateau pieces in bright basic colors that will never go out of style. 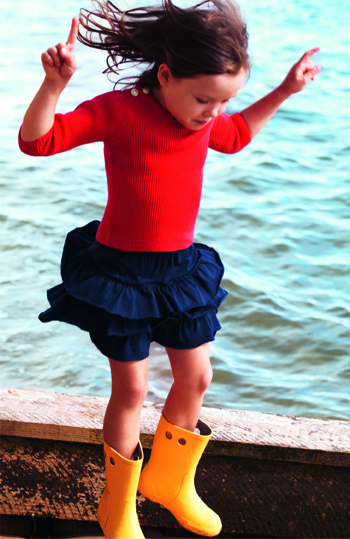 "As cotton specialists, Petit Bateau wraps babies up in softness and comfort... 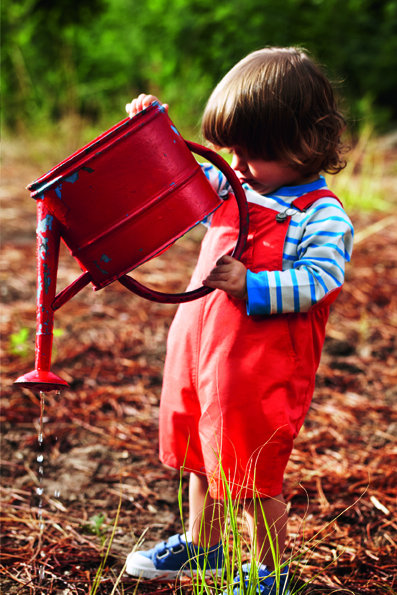 This exacting European label ensures that apparel is safe for the skin and non-hazardous to kids’ health. Their clothes are very well made that you can pass it on from one child to another. You do get what you pay for. Kids can't have all the fun, right? 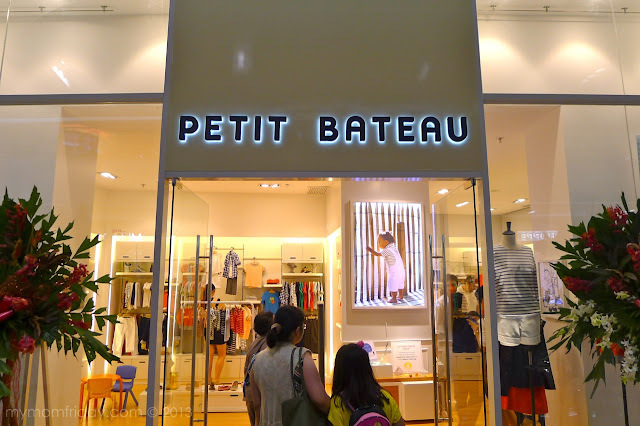 Thus, in 1995, Petit Bateau began to offer casual wear for adults as well. Cool and sophisticated day wear in some of my favorite colors - white, red, and blue. Petit Bateau now has over 7,000 stores in over 60 countries, and continue it's tradition of creating excellent quality clothing for the whole family. Congratulations to Petit Bateau Philippines for a successful launch. 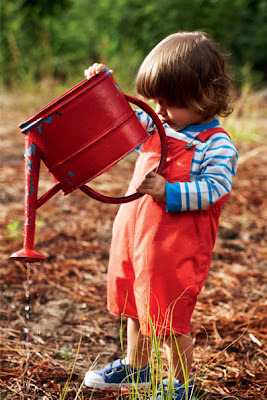 Find Petit Bateau PH on Facebook. 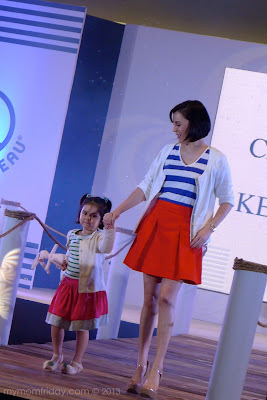 Photos of the collection and group photo courtesy of Petit Bateau Philippines.